10 Ways To Get Into The Christmas Spirit – The Small Things. It is December, people! 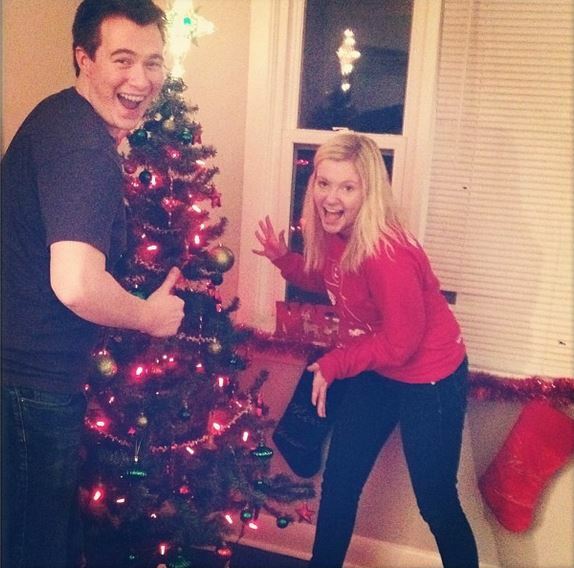 I am not entirely sure how or when it happened but I am overjoyed because the holiday season has arrived! That being said, sometimes between work, finals, grey skies and over crowded shopping malls, it can be easier to say “bah hum bug” at this time of year. Fear not, friends! I have come up with 10 sure fire ways to get you into the holiday spirit this year and every year to come. 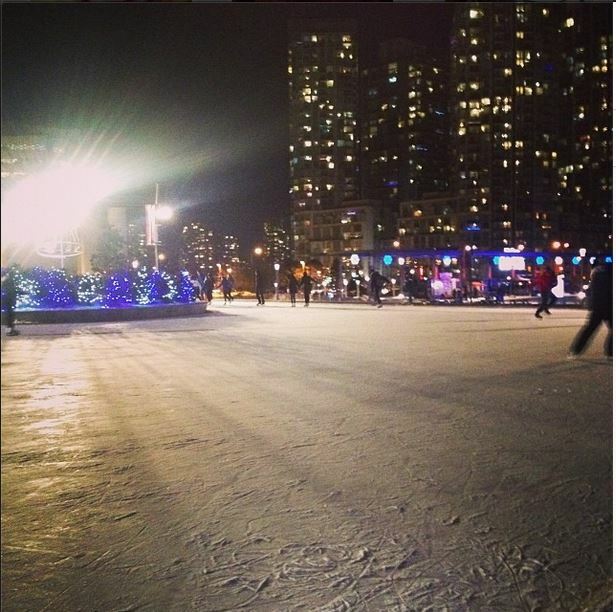 If you are in Toronto check out Nathan Phillips Square. This does not have to be complicated. Grab some friends and head over to your local grocery store. Ginger bread house kits basically come with four walls, a roof and icing. The rest is up to you! Let your creativity thrive! The best part? When you’re done decorating, you have a delicious snack! This is only possible if you live in a colder climate, which I definitely do, because Canada. But seriously, brave the cold! Get outside! Embrace your inner child! Enjoy nature! 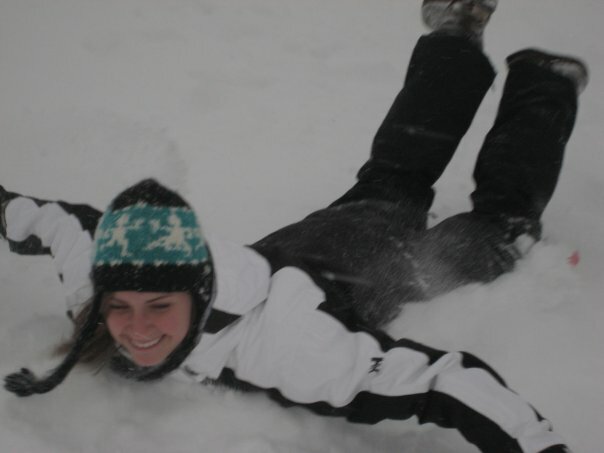 There are so many snow related activities, it could be a list of it’s own. 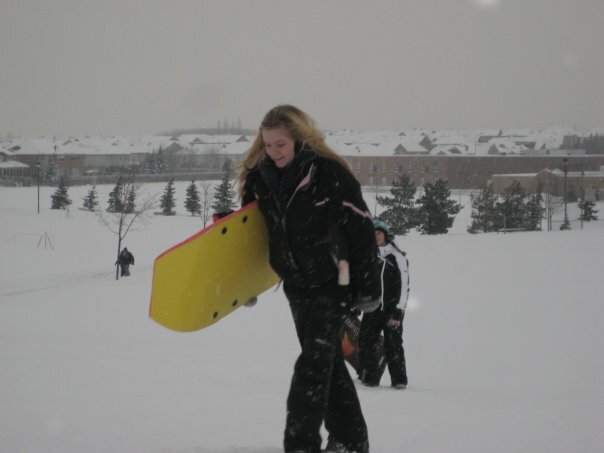 Build a snow man, go tobogganing, go skiing, make a snow angel… The possibilities are endless. Is there anything more beautiful than a display of Christmas lights? Personally, I love the twinkle and sparkle of bright lights on a cold, dark night. My favourite? 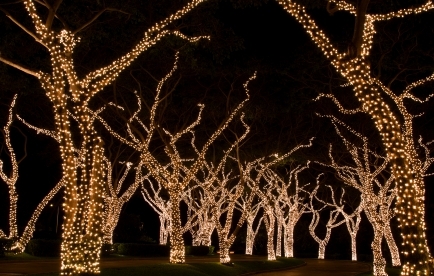 Lights on trees. Sure, it’s a little eerie but it is also so stunning! About 25 minutes north west of my house there is a tree farm where people can go to cut down their own Christmas trees. My family has only ever done this once but it sure was a blast. My brother got to wield a hack saw and we got to pick out the most perfectly shaped tree for our living room. Literally everything. Cover your tree with ornaments, put a tinsel garland on your railings, hang stockings from your mantle, put a hat on the dog, put fake snow in the windows, hang snow flakes from the ceiling. I’m not even kidding, decorate it all then your heart can be filled with joy in every room of the house. This past Sunday I went to Roy Thomson Hall to see the Toronto Symphony Orchestra (TSO) Annual Family Christmas Concert. It was excellent! The whole program was fun and constantly entertaining as it was geared towards children. The TSO started by playing a few familiar Christmas carols, then they accompanied a short film with the help of a narrator. The second act was more carols sung by the Cawthra Park Chamber Choir. 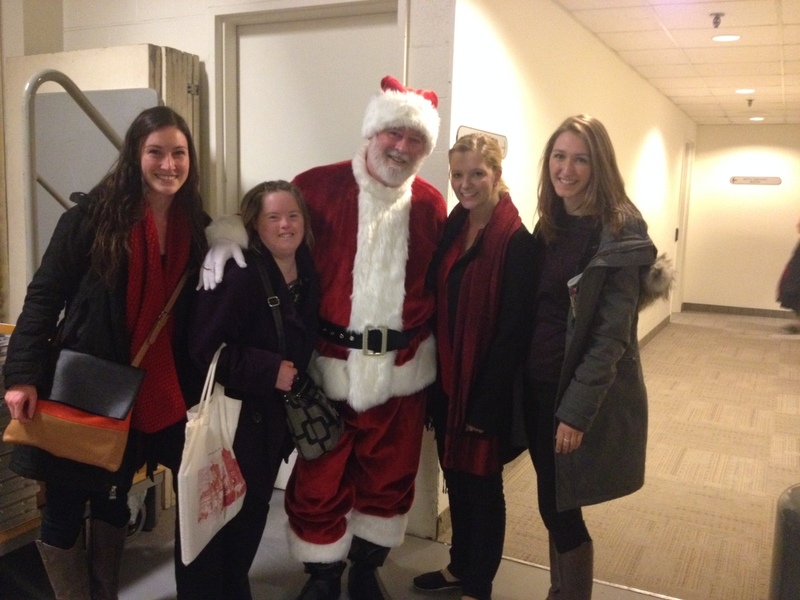 As you can see in the picture, Santa even came for a visit at the end of the show. A professional orchestra and Christmas music and Santa?! Does it get any better than that?! Bust out that ugly Christmas sweater, bedazzle your nails to your hearts delight. Are your favourite colours red and green? Wear them together without fear of judgement. Personally, I opt for a lot of silver and gold during the holiday season. I am a bit of a music nerd so good Christmas music always gives me the feels. With artists releasing new Christmas albums every year there is so much to choose from! Sure, the songs are the same but the arrangements are different. 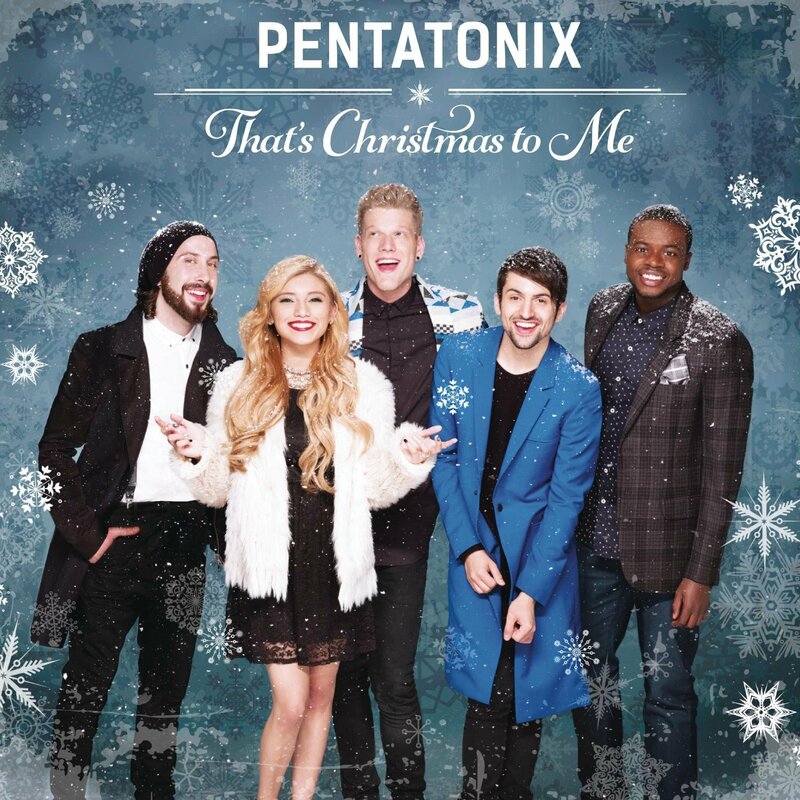 This season I have been playing the newly released album by Pentatonix. A-capella Christmas music? Yes please. This is my bestfriend’s dad. A.K.A. The Best Santa ever! No one embodies the spirit of Christmas more the jolly Ol’ St. Nick. So head to the mall & have your picture taken with father Christmas himself. 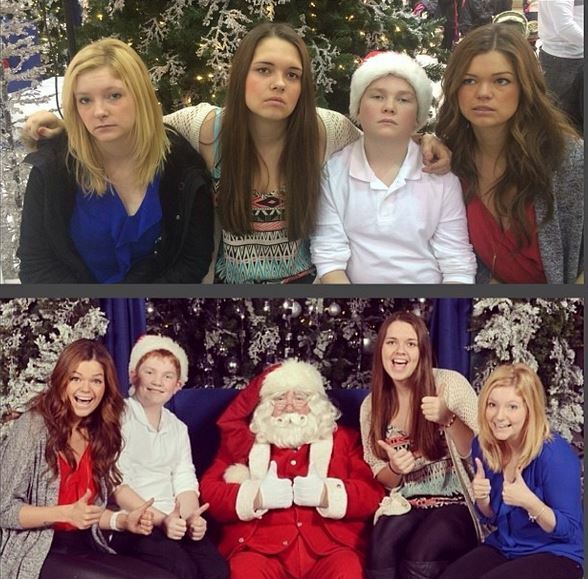 A photo with Santa is guaranteed to make a great Christmas card in the future. Well, there you have it, folks. I’m already feeling more Christmas-y just from writing that post. 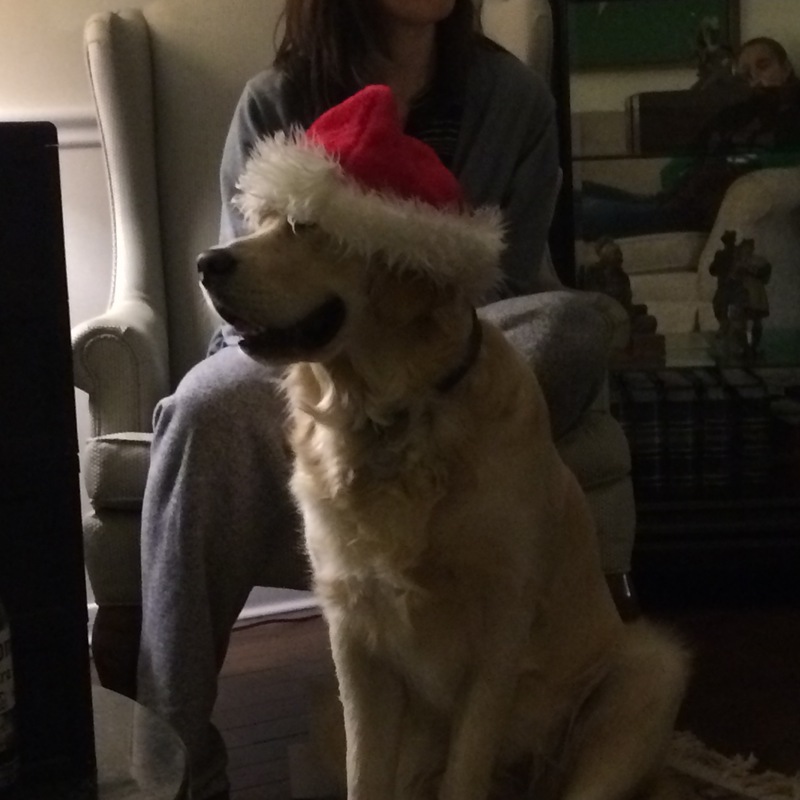 Did I miss your favourite method of spreading Christmas cheer? Is it singing loud for all to hear? (Elf reference, anyone?) Now it’s your turn, share in the comments!